You can easily upgrade a Windows Phone 7.1 project to Windows Phone 8 and utilize the new features of the Windows Phone 8 in your app. 2. Right click on the project in the solution explorer. This will open a context menu. Click “Upgrade to Windows Phone 8.0”. 4. You will be prompted with a confirmation message box. Click yes to continue. 5. 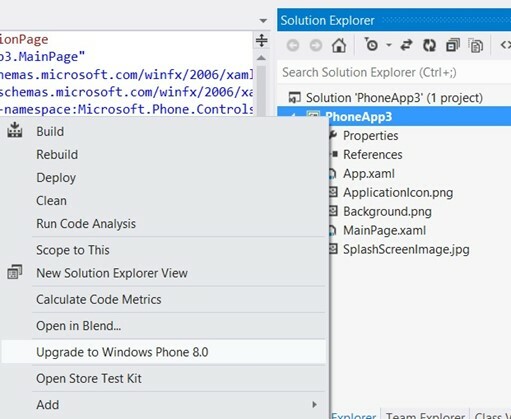 Your Windows Phone 7.1 will now be upgraded to Windows Phone 8 project.